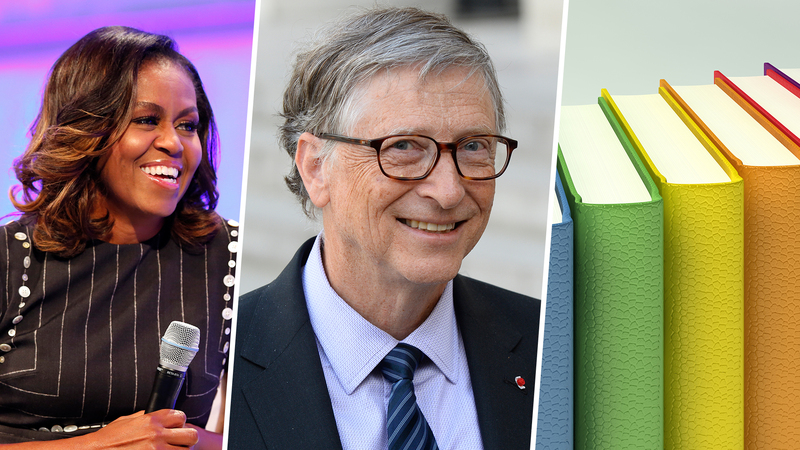 Bill Gates, Michelle Obama, and more give these reads their highest recommendation. Books can work wonders for our well-being. If you’re in search of an inspiring new read, check out this list of Thrivey picks from some of our favorite celebrities and business leaders. “If you want to try meditation for yourself, one good way to ease into it — especially if you’re as skeptical as I was — is to pick up a copy of Andy’s book, The Headspace Guide to Meditation and Mindfulness. Andy’s a witty storyteller and offers lots of helpful metaphors to explain potentially tricky concepts, which makes the book an easy, enjoyable read,” Gates wrote on his blog. The Headspace Guide to Meditation and Mindfulness is available here. “If you read The Remains of the Day, which is one of my favorite books, you can’t help but come away and think, I just spent 10 hours living an alternate life and I learned something about life and about regret,” Bezos told Newsweek. The Remains of the Day is available here. An American Marriage is available here. “I’d read it years ago but picked it up again recently because [my daughter] Malia is a big fan of Zadie and her work. I love the way the story weaves together so many complex and powerful forces that affect our lives and our relationships — family and parenting, religion and politics, and so much more. Plus, it’s just plain funny. I love books that make me laugh every now and then,” Obama told The New York Times. White Teeth is available here. “I love this book because it is a story that is filled with lessons. It is a book that is a perfect gift because you will hold on to it for life to reread and share with others. The story builds faith and encourages the reader to follow their dreams like the young shepherd who discovers his true destiny. We all can relate to searching for our true purpose and then reflecting on that journey,” Bündchen told The Amazon Book Review.